Working with a wide range of partners we help uncover new opportunities, support innovation and build resilience in the region. All of the projects we co-invest in generate real impact in improving access and engagement and are designed to have a legacy far beyond our initial input. For more examples of how we work and previous co-investments read The Paths We Take - ROH Bridge 2012 to 2015 and beyond. A third of our overall budget is allocated for Partnership Investment. Partnership investment funds will be ring-fenced for activity with LCEPs. LCEPs will be required to have reached a certain level of maturity before we will consider investment, with set criteria in place to ensure a partnership is investment-ready. At the time of the launch of the Cultural Education Challenge in October 2015, five places were designated as LCEP localities; Bedford, Colchester, Luton, Medway and Thurrock. Alongside these five LCEPs, coordinated place-based approaches to cultural learning are emerging in Braintree, Central Bedfordshire, Dartford, Hertfordshire, Southend and Sheppey. We are nurturing each of these places to form an LCEP and we will be responsive to other places where there is opportunity and energy to work towards this agenda. Providing an LCEP can reach the minimum requirements, we will consider all applications for investment. Aside from our direct investments with individual LCEPs, we will also work towards facilitating a number of pan-regional programmes that build capacity across a cluster of different LCEPs. A focus on education. ROH Bridge has had significant success in developing programmes of activity that directly serve the needs of schools. These range from cultural entitlement programmes, through to teacher leadership courses and investment in programmes that evidence the impact of cultural learning on children's wider progress and attainment. We seek to build on this prior learning by encouraging LCEPs to adopt similar approaches in their areas, informed by the needs identified by local school leaders. Step Change. We will invest in work that is the catalyst for long term change and improvement to children and young people’s access to arts and culture. Programmes will need to prove their sustainability and develop legacy plans to ensure they don’t remain one-off programmes. Models of Successful Practice. There are a number of effective cultural learning delivery models that have been developed across our region over the last six years. We encourage partners to be inspired by these models by sharing the learning we have gained and encouraging replication of tried and tested programmes that can evidence impact. A new two-stage application process. This is designed to ensure LCEPs share their early thinking with ROH Bridge team members and allow the internal team to provide detailed feedback and planning support to strong applications. Only strong applications will be invited to make a second stage application, which will require the completion of a more detailed programme proposal. A new Partnership Investment panel. A new assessment panel will be convened 2-3 times a year to examine Stage 2 Partnership Investment proposals. This panel will be required to be independent of engagement with any LCEP in the region. Increased Transparency. We will clearly communicate our application and decision-making processes as well as the outcomes of our decisions. A well operating cross sector partnership that meets regularly. ‘Cross sector’ means the partnership must include leaders from the education sector. A proposal that is informed by and supports an adopted LCEP strategy or plan. The LCEP must have a minimum two-year strategic plan in place, with defined success criteria. This LCEP strategy must be needs-led and evidenced by data and include strategic objectives focused on collective action designed to meet the creative learning needs of children and young people 0 to 19. The LCEP must have discussed its intended plans with the relevant ROH Bridge Programme Manager. You must be able to provide a coherent plan that includes evidence of consensus across the LCEP partnership about the nature of the proposal and agreement on the lead applicant, budget holder etc. There needs to be evidence the lead partner has the capacity to undertake the associated responsibilities of managing a grant programme and the experience of working on programmes of this scale. A small percentage of the grant can be used to address the administrative resource needed to manage this programme. Delivery of the programme must be achieved during 2018-22. All planned activity must be needs-led, informed by intelligence and/or in response to exceptional investment opportunities. You will be expected to evidence the need, including endorsement by education professionals that the work will address an agreed need. To have identified a source(s) to provide at least £25K of new match investment. Through our Partnership Investment funding, we are particularly keen for programmes to reach CYP who have restricted access to arts and culture whether this is due to limited infrastructure or other economic, social, physical and geographical challenges. clearly articulate when and how the learning arising from the programme and its impact will be disseminated to a wider audience (within and beyond the LCEP locality). activity where the matched funding is from Arts Council England or National Lottery sources. Other investments must come from new sources of funding for cultural learning activity. We support the emergence of new networks and help strengthen existing ones, looking at professional development and local collaborations. 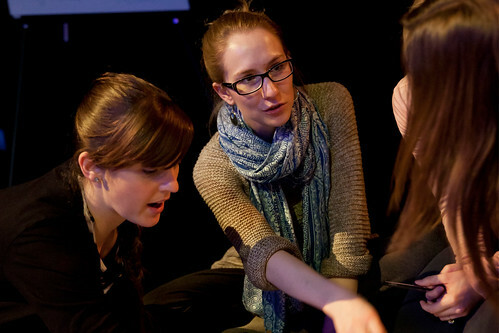 We commission research into local needs and opportunities within the cultural and education sector. Identifying and celebrating good practice we then work strategically to strengthen the local infrastructure that will sustain it. We work directly with teaching schools and their alliances, developing creative learning in schools and fostering relationships with the local cultural sector. We run and support a number of events focused on training and development and sharing good practice. We do not currently offer an open call for potential co-investment opportunities. Our regional programme managers work directly with local organisations to identify local needs, develop suitable partnerships and support investment.